“Previews” is the monthly catalog for comic book stores and their fan-boy and fan-girl customers to peruse upcoming merchandise. The thing runs over 600 pages a month, and is a look into what’s going to be hot (or not) in comics and related merchandise. “This impressive life-size foam figure from the Wonder Woman movie will stand guard in any room …. 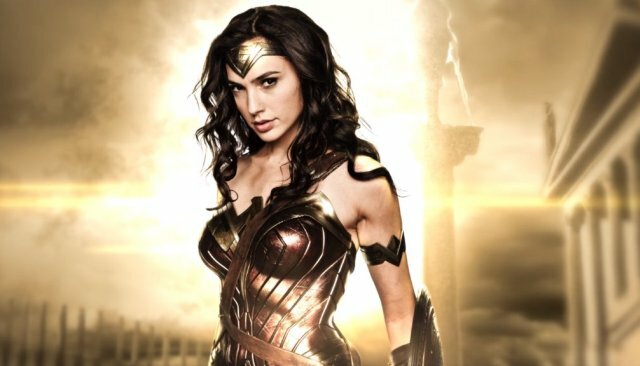 “Based on Gal Gadot’s portrayal of the unconquerable warrior in the new movie, Wonder Woman stands slightly over 6′ 1″ tall. 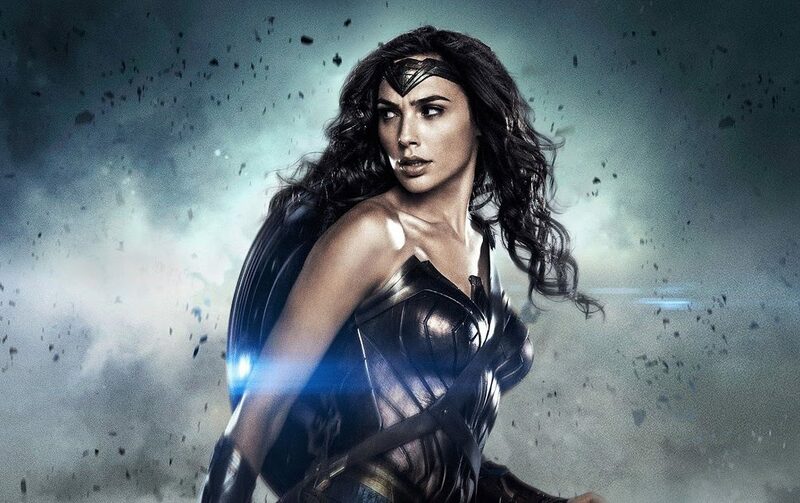 Gal Gadot can be yours – sort of. The asking price? A mere $1,300. This isn’t for the serious fan. This is for the seriously obsessed fan. Why would somebody want this? The foam figure would probably need its own guard. While actors routinely sign away their likenesses for action figures, I don’t think Gal Gadot could ever have anticipated something like this. I’ve been reading “Previews” for a whole lot of years and I can’t recall ever seeing anything comparable for a male action star. A cardboard standee, OK, but not a 3-D foam figure. It’s apparently new for the manufacturer as well. NECA seems to specialize in “Predator” items and a Freddy Krueger figure – about a quarter to size, thank you. If I saw one of these in somebody’s home, I’d have all sorts of questions. And I would back away. You just don’t know what the poor foam has been through. I am obsessed with Wonder Woman… to a point. I have seen one of these replicas in person at a local hobby shop for nerds. Not gonna lie, I was tempted to ask how much it was. 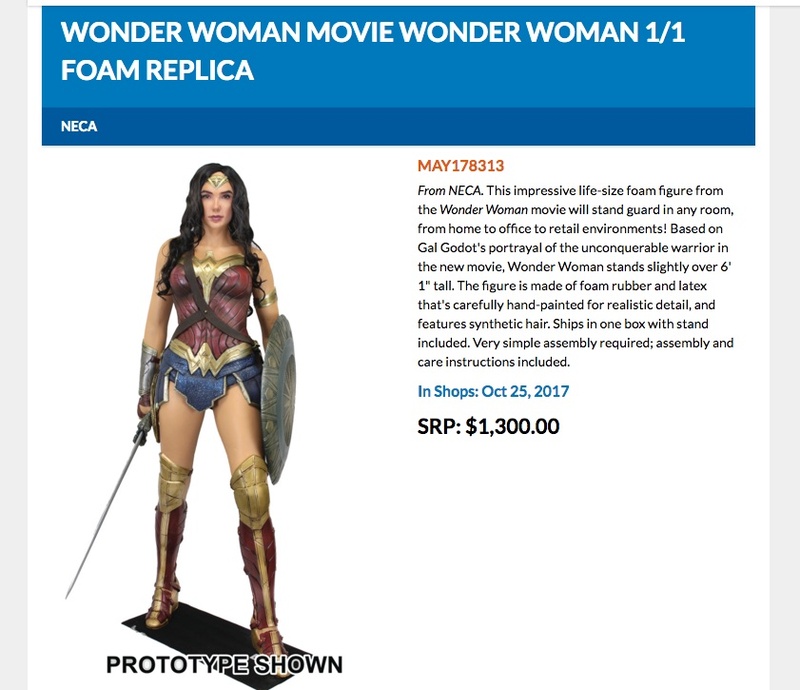 As much as I adore Gal Gadot’s portrayl of Wonder Woman, I would not spend $1300 on such an item.